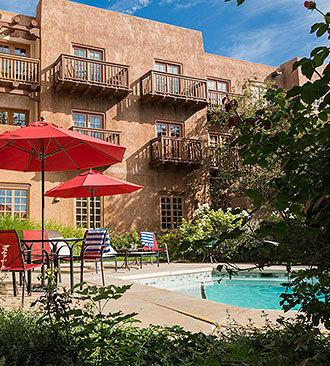 As the only Native American-owned hotel in downtown Santa Fe, Hotel Santa Fe offers you a relaxed yet deeply reverent immersion into the art, architecture, music and language of the Pueblo people. For more than 25 years, we’ve celebrated and shared the very best of our culture with visitors seeking experiences not found in guidebooks. Savor the flavors of Northern New Mexico at Amaya, where contemporary cuisine is influenced by fresh local ingredients. 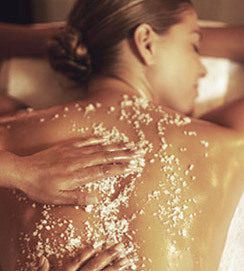 Prepare to be pampered with our diverse, Native American inspired treatments, specifically designed to help you relax and unwind. 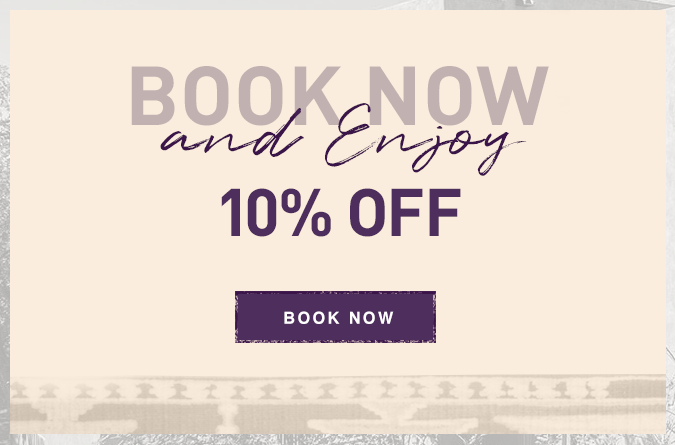 Hotel Santa Fe excels in transforming events into unique cultural experiences anchored by time-honored Pueblo traditions. It all began in 1988 when local business people approached Picuris tribal leaders about a joint development. 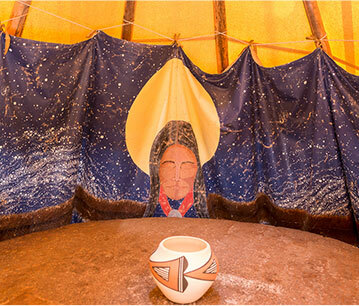 The agreement that ensued is a culturally-honorable step toward financial independence for the tribe, which settled nearly 800 years ago in a verdant valley northwest of Santa Fe and became one of the largest tribes in the region. In March 1991, Hotel Santa Fe opened, followed by the addition of The Hacienda at Hotel Santa Fe in September 2001. 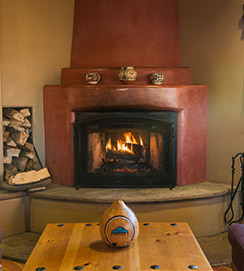 Be immersed in the purest Pueblo spirit of Santa Fe. 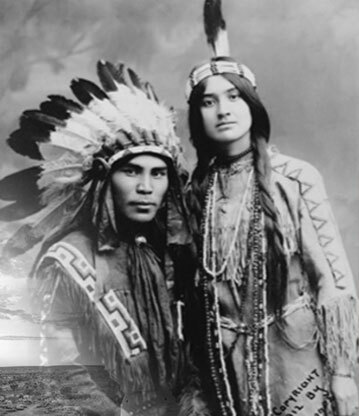 We welcome you to historic Santa Fe and into the heart of the Picuris people. 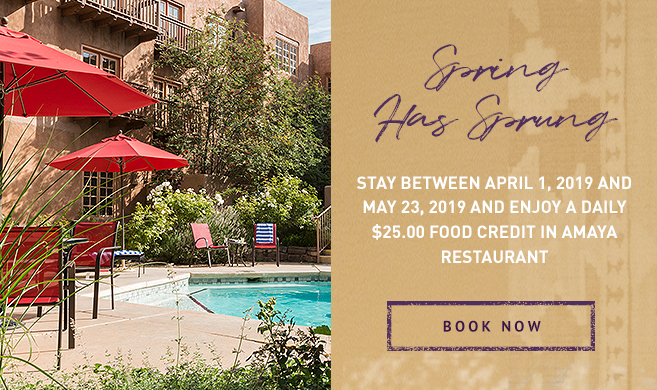 From the moment of your arrival, greeted by the lilting notes of a Native flute, we’ll invite you to put away your guidebook and enjoy a truly authentic experience that’s woven into the fabric of Santa Fe. This is more than a trip, you’ve become part of something so much bigger. 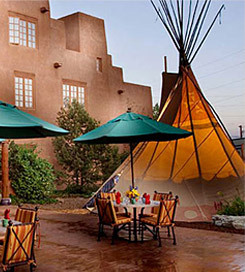 Hotel Santa Fe houses a multi-million dollar collection of Native American art. Explore the Picuris Pueblo story through art and outdoor sculpture.